One of the preeminent figures of Pictures Generation, Sarah Charlesworth is the subject of an expansive retrospective at the New Museum, on view through September 20th. 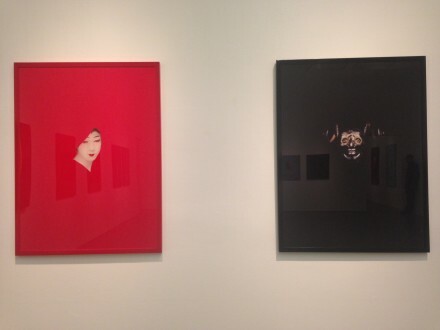 Curated by Massimilano Gioni and Margot Norton, the show spans the broad career of the late artist, tracing her visceral practice, each gallery on the second floor reserved for a different series by the artist. 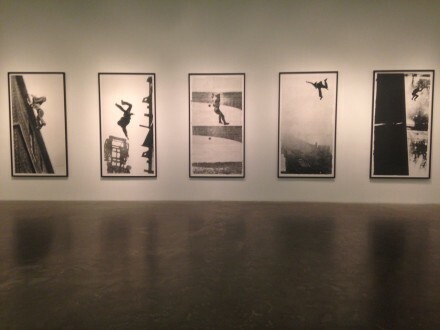 Considered a key member in a group of mostly female artists that dismantled set methods of looking at images while complicating the imposed grammar of photography, Charlesworth delivered an impressive body of work that eventually cemented her as a Conceptualist more than a photographer as she herself underlined occasionally. Utilizing frames as components of her works, as opposed to mere mounting elements, or manipulating representative status of images, Charlesworth, who passed away due to a brain aneurysm in 2013, marked a departure from the traditional realm of photography, towards a more concept-based practice more drastically than her peers that include Cindy Sherman, Barbara Kruger and Sherri Levine. Through her conception, research and process, Charlesworth substituted her own threads of informative and narrative aspects for those normally associated with photography, challenging the primary function of the medium as a chronicler. 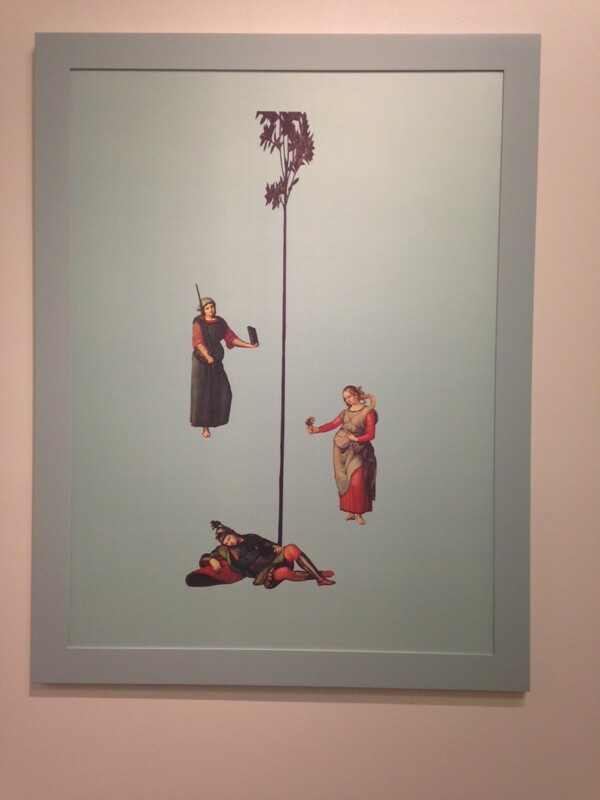 Instead, the artist claimed this medium as a tool to analyze methods of reinterpreting political, cultural or natural phenomenons as told through the occasionally limited and inherently subjective nature of photo-documentation. Newspapers, both local and national, exquisitely served for Charlesworth’s investigation of subdued impact for informative photography. Her subtle digital alterations resulted in the visually striking and conceptually provoking Modern History series, in which the artist culminated a variety of American and Canadian newspapers reporting the same events. In Arc of Total Eclipse, February 26, 1979, for example, she collected 29 different newspapers that featured the same total eclipse as their cover story. Eliminating all surrounding text but keeping images of the event, Charlesworth let the news headers remain during her process as indicators of different news sources along with the original size of each publication. 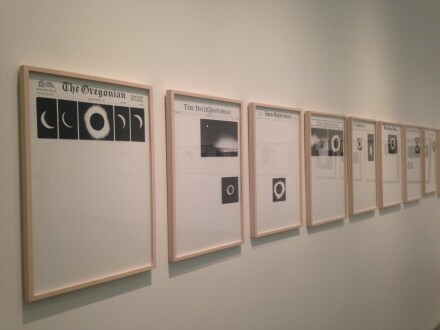 The result is a wave of black and white works on paper in assorted sizes, providing various images of the same eclipse from different angles depending on the location of each newspaper. 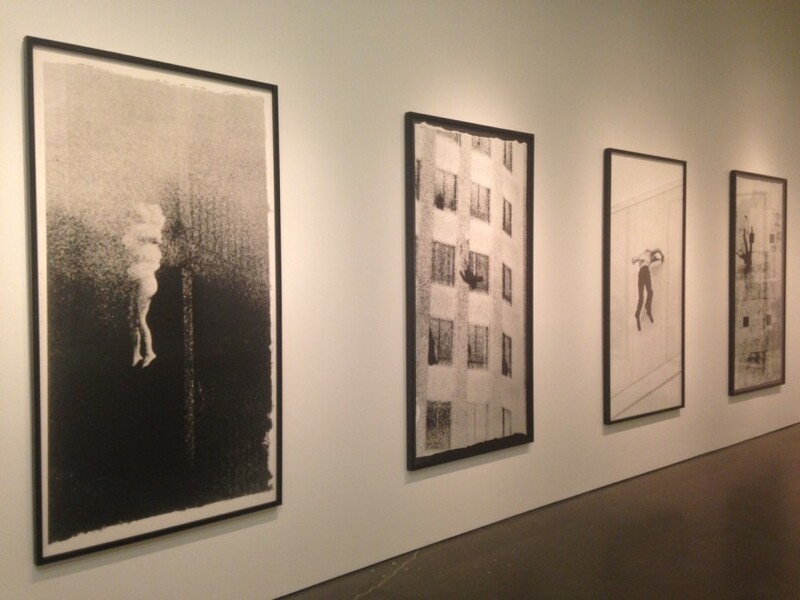 Stills is another visually and emotionally potent series, for which Charlesworth appropriated photographic images of people captured during free fall. Culled from a variety of sources, anonymous agents submitting to the force of gravity as they jump or fall from buildings evoke conflicting senses of thrill, curiosity, awe and tragedy. The familiarity of such images through media, on the other hand, triggers one to consider the public numbness towards the agony of others. Enlarged so that the bodies are close to life size, each piece maintains a ghostly and ephemeral presence, leaving viewers questioning the personal or institutional narratives behind them. 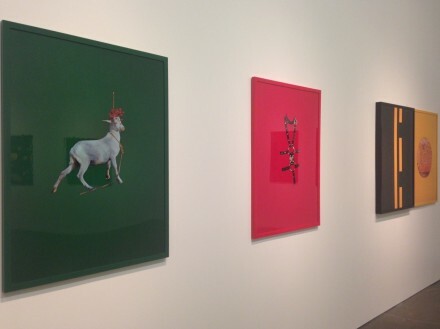 Sarah Charlesworth: Doubleworld is on view through September 20, 2015. This entry was posted on Thursday, September 3rd, 2015 at 3:06 pm	and is filed under Art News, Featured Post, Show. You can follow any responses to this entry through the RSS 2.0 feed. You can leave a response, or trackback from your own site.